Spacecom, the operator of the AMOS satellite fleet, has been selected to provide broadcast services on AMOS-5 at 17°E for the Confederation of African Football’s (CAF) Orange African Nations Championship (CHAN), Africa’s annual football championship competition. South Africa is hosting the 2014 competition which will take place January 11th through February 1st 2014. 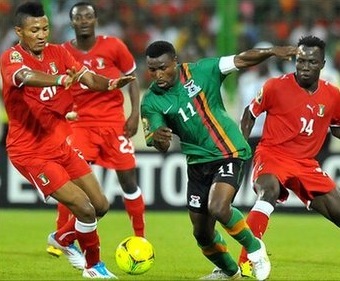 Every single game of the continent’s largest tournament will be broadcast in HD via the AMOS-5 pan-African C-band. The tournament will be played by 16 national teams at four sites in South Africa culminating in the championship game from Cape Town. “Sports entertainment is hugely popular and a growing sector in the broadcast field, especially African football. Spacecom’s AMOS-5 at 17°E has a powerful C-band whose pan-African capabilities provide high-quality HD transmission to all of Africa,” commented Eyal Copitt, Spacecom’s senior vice president of sales for Africa and Asia and marketing.